To improve a woman’s fertility level, she must establish a healthy sleep pattern and get her circadian rhythm and hormonal levels in sync. The best part? Helping to increase your natural fertility could be as simple as turning off computers, cellphones, and TVs at least one hour before you plan to retire. Today’s woman often skimps on sleep due to increasing demands at home and work. When a woman’s body is deprived of rest, she can experience weight gain, mood disorders, and increased stress levels. Women in their prime childbearing years (25 to 35) need 7 to 9 hours of quality sleep every night during a work week. The National Sleep Foundation has found through studies that sleep has a powerful influence on a woman’s reproductive hormonal system. Enhancing your quantity and quality of sleep will increase your natural fertility level. The takeaway. Sleep is an important moderator of neuroendocrine function and glucose metabolism. Sleep loss alters metabolic and endocrine alterations. Your quantity and quality of nightly sleep is directly connected with your mood when you wake. It can’t be emphasized enough, chronic insomnia increases the risk of developing a mood disorder – especially depression and/or anxiety. Sleep-related mood disorders can be self-corrected through a variety of methods. Look: Every woman realizes that she is more vulnerable to certain emotions after a sleepless night. It’s pretty common to realize that once you’ve had a good night’s sleep, your mood becomes stabilized throughout the next day. These affects make it difficult to get to sleep and rest comfortably because you are awake and alert. These abnormally exaggerated responses to stress make one suffer from sleep deprivation. Stress keeps us alert and energetic. Although stress is an innate force helping us to perform at top level in our daily activities, too much tension and anxiety can cause a person to experience sleep deprivation. Stress is a natural response to daily life. You must manage your stress to enhance your reproductive health and overall well-being. The amount of stress a woman experiences while undergoing IVF treatment can be determinative of pregnancy success or failure. That’s not all. 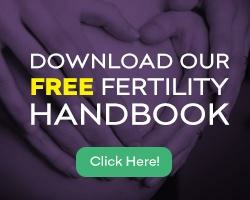 Research has shown that stress can reduce your chances of conceiving through IVF. Stress has been linked to an egg’s ability to be fertilized and an embryo’s ability to implant in a woman’s uterine lining. Studies have shown that women undergoing IVF with anxiety had fewer eggs retrieved and fewer embryos implanting successfully. Bottom Line: Lessening stress levels will help to increase your chances of a successful IVF cycle. Our fertility specialists recommend some simple approaches to achieve quality sleep. These measures will help with relaxation at the desired time sleep is needed. Implement a strict sleep schedule and stick to it. The human body flourishes on routine. Having a regular schedule of when you fall asleep and awake will help your body regulate its internal clock. Designate a time you normally feel tired. Making a scheduled bed time will keep you from spending a lot of time struggling to fall asleep. Keep your sleep schedule consistent on the weekends and holidays. It is important to work with a fertility care team having the experience to design a treatment plan meeting your personal needs. To schedule your initial consultation with one of the fertility specialists at New Hope Fertility Center, click the icon below – or – call 917.525.5496.